Solving the vast array of challenges that can be presented during a toilet overflow situation, water main break, or any other kind of water damage is work best left to professionals like the water damage South Milwaukee team with 911 Restoration Milwaukee. This is why 911 Restoration Milwaukee, and our water damage South Milwaukee team are all licensed, insured, bonded, and IICRC certified for any such liquid invasion. When it comes to eliminating the damages that a water intrusion can cause, Our water damage South Milwaukee team know that the most efficient and fastidious method for recovery is to be at the scene quickly with all the proper tools to do the job right. I can mobilize my crew, and enough equipment to empty a Olympic swimming pool’s worth of water from a home within 45 minutes of a call for help, that gives me and my water damage South Milwaukee team the ability to solve any problem that a homeowner might encounter. Beyond our ability to get to the scene of a water damage South Milwaukee disaster quickly, our crew are also available to do so 24/7/365, so that no matter when a pipe bursts, toilet overflow erupts, or a water heater discharges, he can handle it fast. 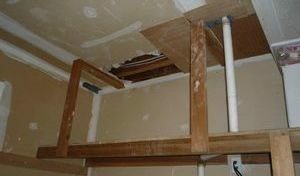 Don’t let your home become a haven for mold growth from a toilet overflow. Contact our water damage South Milwaukee experts with 911 Restoration Milwaukee and get all the restorative help you need today! Our water damage South Milwaukee experts with 911 Restoration know all there is to about the best methods for eliminating water damage after it has already occurred, but they are also trained and certified specialists when it comes to helping people to avoid such scenarios in the first place too. No matter whether it’s rain or shine, we get calls every day from people who are trying to learn the best way to keep their home protected, and that is why we developed the list of maintenance tasks that people can look at to keep their home high and dry. Make sure to inspect, trim, or cut down any of the tree limbs around your property that loom large over your roof. Cutting these off can prevent them from falling off in high wind and then impaling your home and causing an influx of water damage. Never let the ambient temperature in the air of your home dip below freezing. This can inspire pipe bursts when put under pressure, and these can cause untold buckets of water damage. Take the time to view your rubber hoses, metal fittings, and plastic connectors on any of the water-based appliances you own. These are prime targets for water damage due to splitting, warping, and outright rupture failures. Make sure to have a plumbing professional come to your home and do a regular snake scope inspection of the system in order to spot any small obstructions before they become larger ones that are more costly and time consuming to fix. Give your sump pumps a test run at the start of every season to make sure that they are in proper working order before the rains come. This will help you to avoid a failure and then a flood of water damage as a result. These are but a few of the many ways that home and business owners can protect their structure through simple maintenance jobs, but this list has just the top examples, and if anyone has questions about ideas that aren’t mentioned here, they need to contact us and learn more. Don’t give water from a toilet overflow the chance to ruin your lovely home. Contact our water damage South Milwaukee team a call today and get everything taken care of properly without haste! Our water damage South Milwaukee crew have been providing quality solutions to the challenges of water damage scenarios for their entire careers and this is how they knew precisely what to do when it came to a soaked carpet in a local townhome. We got a call from a homeowner who woke up, turned on the TV, and saw that her carpet near the neighbor’s wall was soaked through, that’s when she decided to call us and have it taken care of right. Our water damage South Milwaukee crew went straight over and found that the source of the leak in the neighbors wall. We contacted the neighbor and got access to the wall with the pipe burst, and then we patched it up while eliminating all of the excess water from the carpet of the homeowner, then when we were done with the home of the first caller, we started to work on the home of the neighbor with the pipe burst. Our water damage South Milwaukee crew went the extra mile to take care of both homeowners and they even did the insurance paperwork to make everyone’s life easier in the process. Don’t let your neighbor’s pipe bursts affect your lovely home. Contact our water damage South Milwaukee team with 911 Restoration Milwaukee and get all the restoration services your home requires as an incredible value today!